Halloween in Fort Myers, Fort Myers Beach, and Naples is always a fun and spooky time of year. With so much to do for all ages, there is sure to be something fun for everyone. Come and join the fun with free admission at Lakes Regional Park. Additional activities are priced individually. 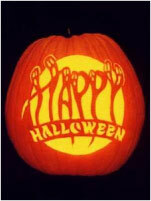 For further information about the Halloween festivities call 533-7575. There are plenty of family activities, games and events for all ages to enjoy! Don’t miss out on the pumpkin patch, hayrides, and scarecrow contest. Plus during October there is a Halloween Express train ride running Monday-Friday from 10:00am to 2:00 pm; Saturday from 10:00am to 4:00pm; and on Sunday from 12:00pm to 4:00pm. There will also be a Haunted Walk Friday through Sunday, October 29-31 from 6:30pm to 10:00pm. Please note that the Haunted Walk is for ages 12 and older. A spook-tacular time waits at Miromar Outlets Mall-O-Ween! Parents, bring your children for a fun, exciting, and safe option for trick-or-treating! The entire mall will be open for trick-or-treating that is sure to be a real blast! Trick-or-Treating begins at 4:00pm. Plus, enter a Child Costume Contest at 6:00pm in the Playland! Or attend the Pet Costume Contest near the Reebok store at 5:00pm. Please note that registration for the Pet Costume Contest begins at 4:45pm. Don’t miss it! If all of that is not enough, bring your kids to Playland from 6:00pm to 8:00pm to have more Halloween fun with Kid-Friendly Karaoke and Contests featuring DJ Migo! Join the excitement at the Hilton Naples on October 30th from 6:30pm to 10:30pm. This Artistic party is sure to be a fun event to help kick-off the Celebrate the Arts Month. The event is packed with everything from great music, face painting, strolling entertainers, food stations, DJ and dancing, mimes, silent auction, ARTS-tini drinks, magicians, artists exhibiting their works, and so much more! This is a fantastic event that is sure to excite all! Please note that this event is open to those ages 21 and older. Halloween is not just for humans, it is for dogs too! Bring your best friend to the Howl-O-Ween Spooktacular at Camp Bow Wow of Naples. If you dress your dog in a costume and bring them to daycare, you will pay only $16 for the day! Plus your dog will be entered into their costume contest to compete for prizes! Prizes will be given to the greatest costumes including: ‘sexiest’, ‘scariest’, ‘funniest’, and the ‘most original’! Halloween is going to the dogs! Don’t let your dog miss out on this exciting event!